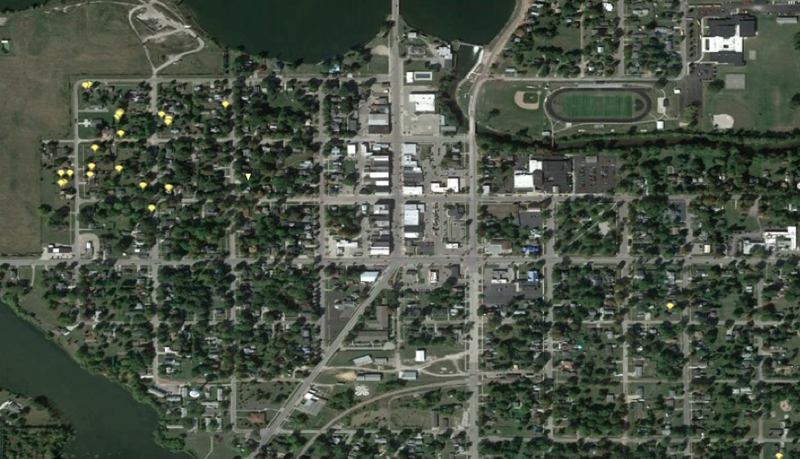 ST. LOUIS, Mich. – When residents described the death of the birds in this small mid-Michigan town, Matt Zwiernik recalled the studies of another Michigan State University scientist more than 50 years earlier. Wallace was the ornithologist whose research into how the insecticide DDT killed birds was cited by Rachel Carson in her book Silent Spring. The book led to a U.S. ban of DDT and is credited with helping launch the modern environmental movement. Half a century later, studies by Zwiernik’s team helped secure funds for this summer’s excavation of roughly 30,000 tons of DDT-contaminated dirt from the yards of 60 homes adjacent to the site of the now-defunct Velsicol Chemical Co. The company had produced DDT and a raft of other chemicals that authorities have been trying to clean from the abandoned factory and affiliated sites for decades. Another 15,000 to 20,000 tons of soil from 37 residential yards are slated for excavation next year as part of a $12 million state and federal cleanup of a nine-block area. This summer’s cleanup is based on ecological considerations rather than human health threats. That’s because the birds are more sensitive to DDT than people. Still, some health experts have recently raised questions about the human health risks and of the length of time it took to address the contamination at St. Louis. Most of the contamination is less than 12 inches deep. “We believe most of the material was windblown from the facility, and our sampling has shown that,” said Tom Alcamo, the U.S. Environmental Protection Agency manager of this Superfund cleanup site. But some hotspots are as deep as 4 feet and perhaps deeper. Alcamo and others believe those deep pockets of contamination may be from soil from the factory site that was used decades earlier as fill. There is evidence that contaminated soil was used to elevate one street. Sampling in the neighborhood by state regulators in 2005, 2007 and 2008 showed some areas of DDT and other chemicals at unacceptably high levels, Alcamo said. More extensive sampling was done after the EPA approved a remedy in 2012. The recent bird studies helped more quickly secure the funds needed for actually removing the contamination, cleanup officials say. From May to mid-July of 2013, Zwiernik’s lab collected dead birds from the neighborhood and examined nests and eggs. 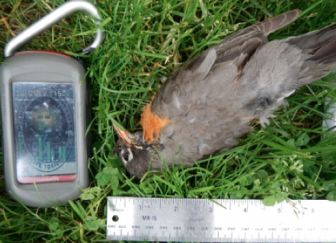 His team of volunteers, landowners and researchers were challenged to respond to reports of dying birds before they disappeared. “As these things flutter around, they are very desirable to the local feline population,” Zwiernik said. Nonetheless, he himself found at least one dead bird every time he looked during the team’s weekly neighborhood patrols. Used to designing studies to discover chronic and subtle health impacts of relatively low levels of contamination, Zwiernik instead found dead birds linked to acute exposure. “I’ve spent a lot of time in the woods and a lot of time on Superfund sites,” he said. “You do find dead birds by random chance. This was not that. The levels of DDT and associated chemicals in the dead birds ranged from 155 to 1,043 parts per million, some of the highest ever recorded in wild birds. Other bird studies have indicated death can occur at 30 parts per million. Of the 29 dead birds the wildlife laboratory examined, 12 had abnormal tissues including brain lesions and liver abnormalities linked to DDT exposure. Eggs also had high levels of DDT. None of the eggs hatched in 47 percent of the nests examined in the neighborhood. 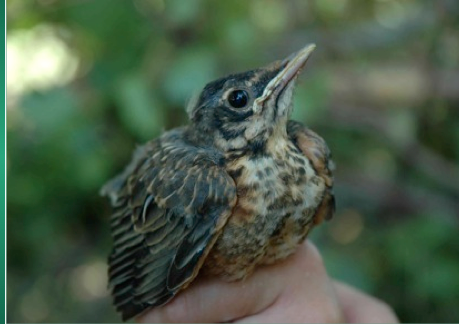 That was true of only 12 percent of the nests in studies elsewhere in the watershed. Alcamo’s skillset as a Superfund manager includes those of an engineer, landscaper, social worker — and diplomat. The neighborhood disruption is significant. Bulldozers, skid loaders, dump trucks and hard-hatted workers with shovels, chainsaws, earth tampers, potted plants and new trees work through the neighborhood. Devices on tripods and attached to some workers sniff the air, making sure contaminated dust does not exceed health limits. Alcamo has spent enough time addressing complaints and questions that when he walks the streets he’s recognized and hailed by homeowners. Some ask for adjustments to how their yards are sodded and landscaped with new plants and trees. He strives to accommodate them and notes that most residents are understanding. Local resident Terry White Jr. said he was initially skeptical about the cleanup and even now is unhappy about the removal of some of his neighbor’s trees. But he’s pleased with his new lawn and inspired to take better care of it, even asking for a schedule of when to fertilize. Dilemma: Large trees or clean dirt? But some residents are angry. “We fought tooth and nail to keep our trees,” Childs said. 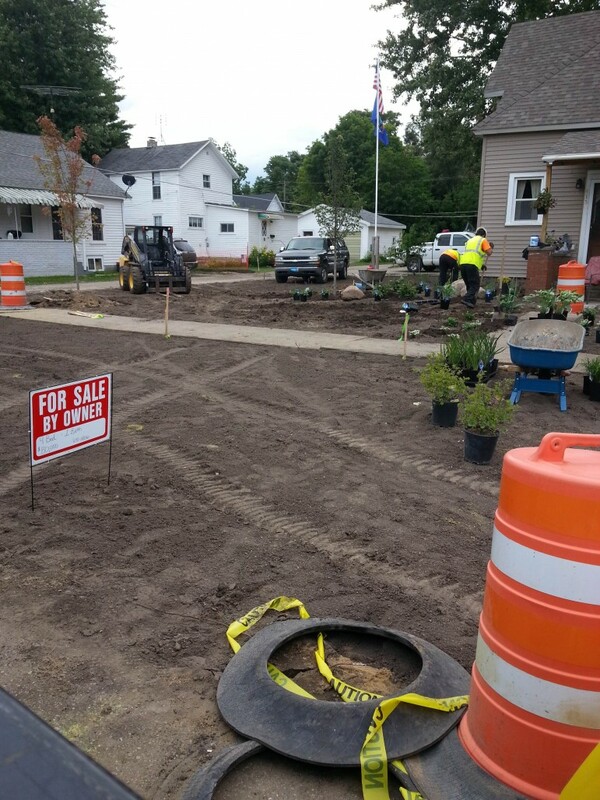 She and her husband, Dan, put a for sale sign in their yard the day workers came to replace the soil. Their complaint is a common one: The trees between the sidewalk and street are on city-owned property. And while homeowners have some latitude to retain some soil around their own trees to spare them, city officials have opted for complete soil replacement on city land. That means the removal of the large, old trees that line the streets. Experts say that the advantage of retaining trees for birds to nest and for aesthetic and other ecological services can offset the disadvantage of not excavating as deeply in order to spare them. “There is a great likelihood that the trees provide an ecological benefit greater than any possible contamination that resides underneath them,” Zwiernik said. Even if the soil immediately below the trees is not completely excavated, the overall exposure of birds to DDT within the neighborhood will be much less than it is elsewhere where levels are below concern, he said. His advice: Monitor the birds’ recovery before deciding if removal of the city’s trees is necessary. The disruption is just the latest in a long history of a factory that gained global attention for accidentally shipping a fire retardant as a livestock feed supplement in the mid-1970s. That caused the slaughter of thousands of cows, pigs and poultry to keep the chemical PBB from further contaminating the food supply. Then, in 1982, Velsicol entered a legal cleanup agreement with state and federal authorities. It included building a slurry wall around the former plant site and capping it with clay to contain rather than remove contaminants. The deal was among the early agreements under the federal Superfund law designed to clean up particularly bad sites. Michigan officials hailed it as a landmark in environmental protection. But it proved to be a failed strategy. 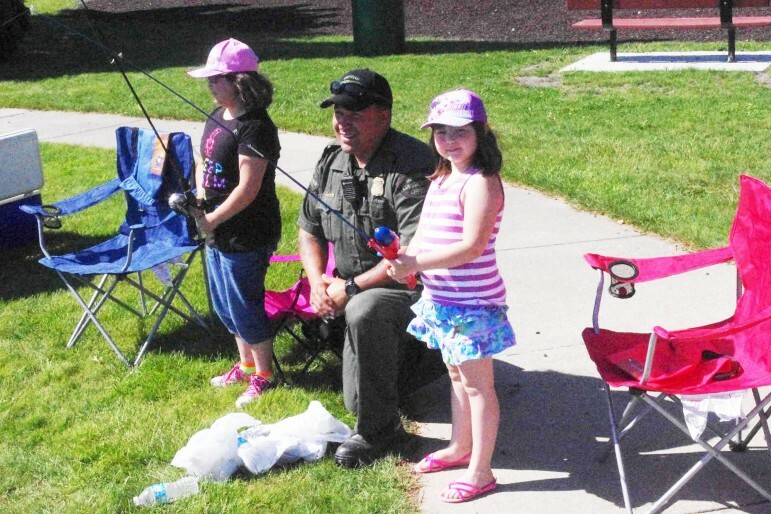 Fish in the nearby Pine River continued to show high levels of contamination. Contaminated sediments were not covered with clean sediments as hoped. And the slurry wall leaked. From 1998 to 2006, a variety of additional cleanup actions, including dredging the river, were taken at a cost of almost $100 million, according to EPA. Water is pumped from trenches by the plant site and hauled away for treatment to keep it from polluting the river. Progress has been made. Homeowners in the DDT cleanup area will get a letter from the EPA certifying that their yards have been replaced with clean soil — a measure designed to make it easier to sell their homes. 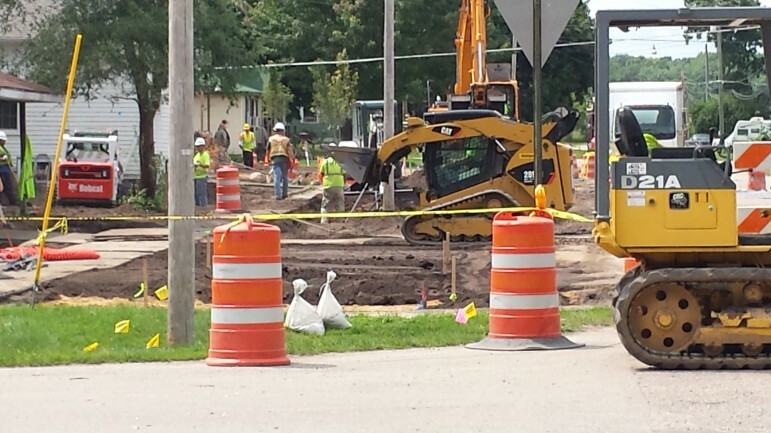 A $45 million water system serving St. Louis and Alma is expected to be completed in 2016. The old one has contaminants that are below levels of concern, but replacing it makes it easier to treat the contaminated groundwater at the plant site. Design of a new cleanup plan for the factory site could be completed in 2015 and started in 2016, depending on funding. Under consideration: heating the soil with electricity to make contaminants easier to recover. EPA expects to propose by October a cleanup plan for a nearby separate Superfund site where Velsicol dumped and burned chemicals. If the residential excavation proves successful, it will be especially good for the birds. I am glad the cleanup of the river (behind the dam) has been successfully completed, and the residences are now finally being dealt with. But the former chemical plant site sits there untouched. That cleanup will probably not start until 2016 and then take over 10 years to complete. Why? Lack of available funds in Superfund. Those funds should be found in full, set aside, and used to finish the plant site cleanup as soon as humanly possible. The community has suffered too much for too long.